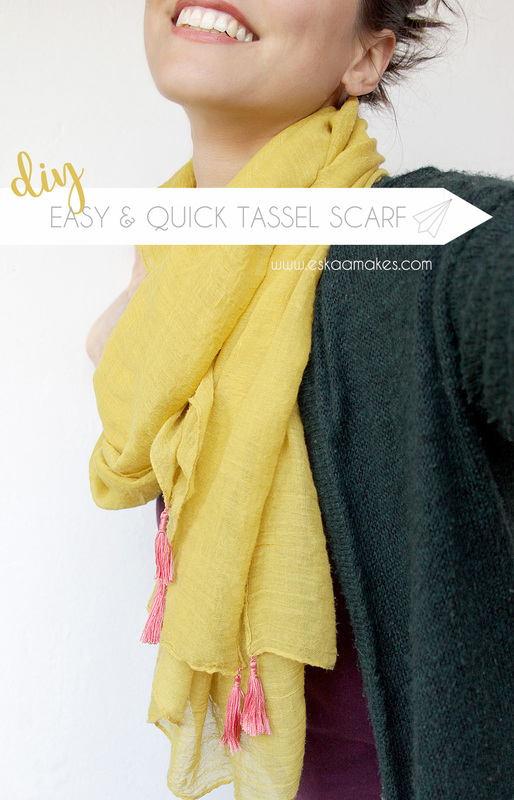 This project is actually perfect to turn some scarf that you grew tired of into something new that you’ll love to wear again. 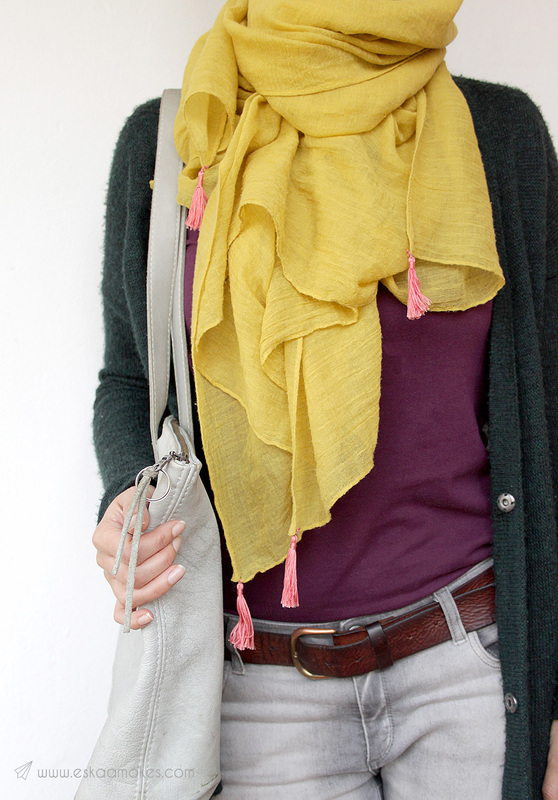 I loved my yellow scarf, but somehow it got boring after years of wearing it. 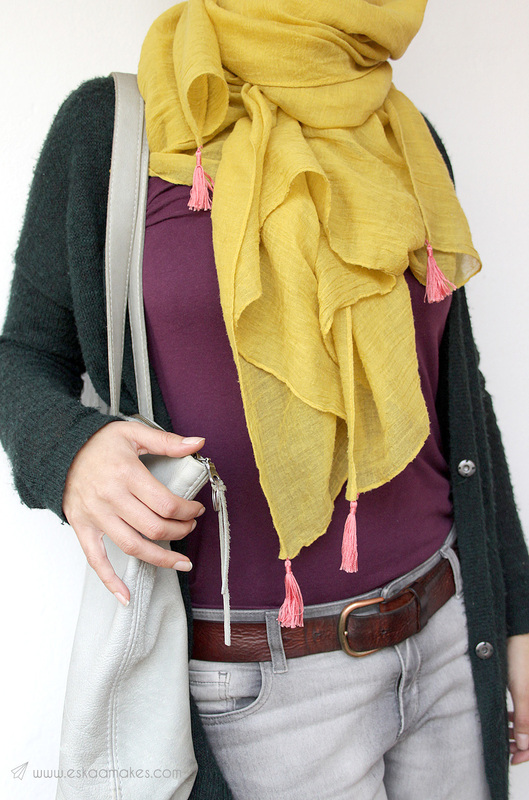 Now that definitely changed and I am excited to show off my yellow tassel scarf. A small change with massive impact. 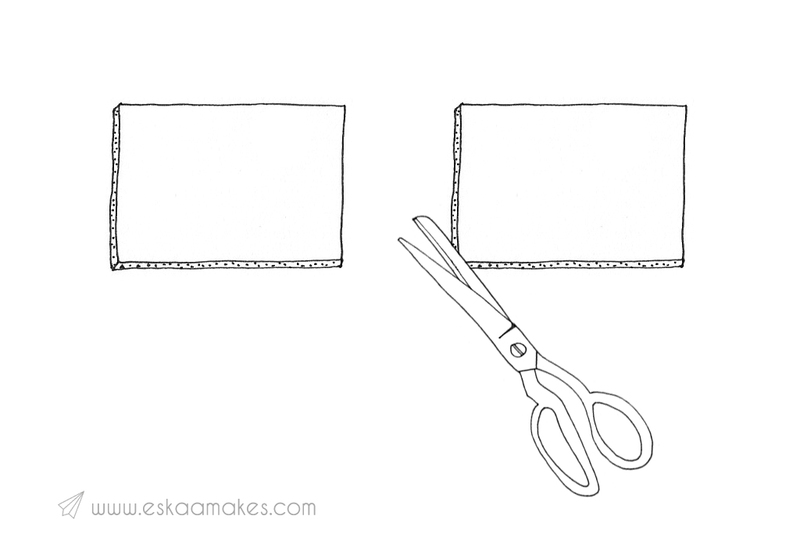 1 – Cut two identical rectangles of cardboard, the height must be the desired length of your tassel. 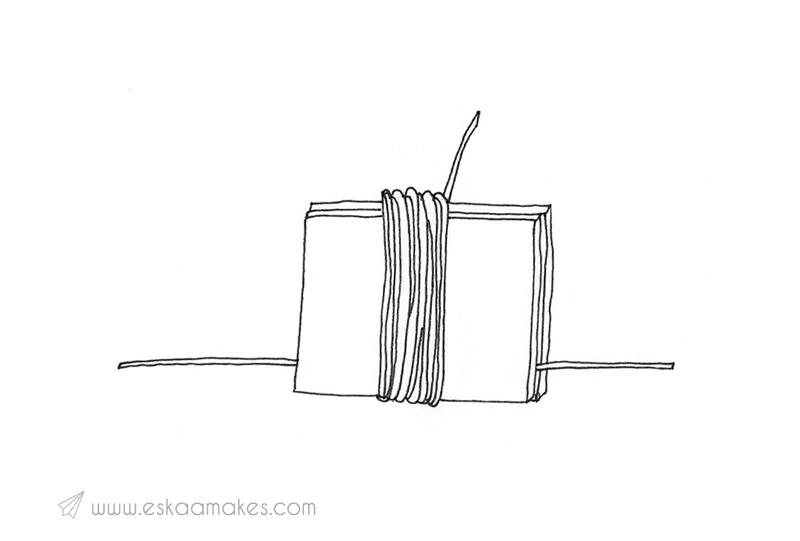 2 – Cut a piece of yarn (approx. 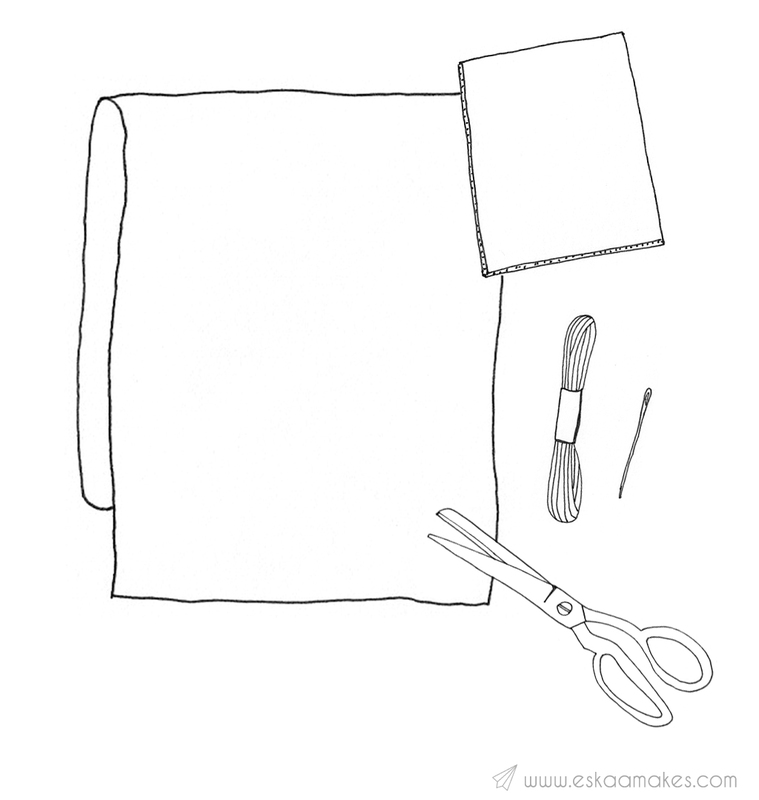 10 cm / 4″ long) and place it lengthwise between the two cardboard pieces. 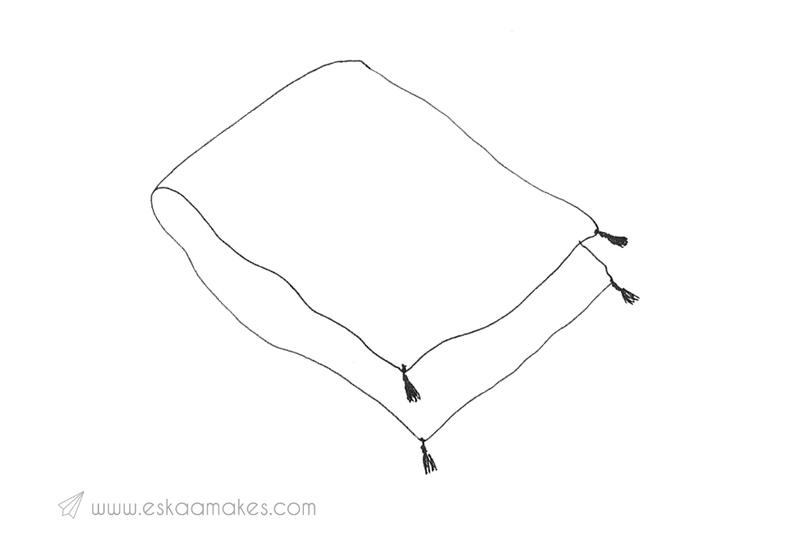 Then start wrapping embroidery yarn around the two cardboard pieces, the more you wrap, the thicker the tassel will be. In this project, I aimed for quite thin tassels. 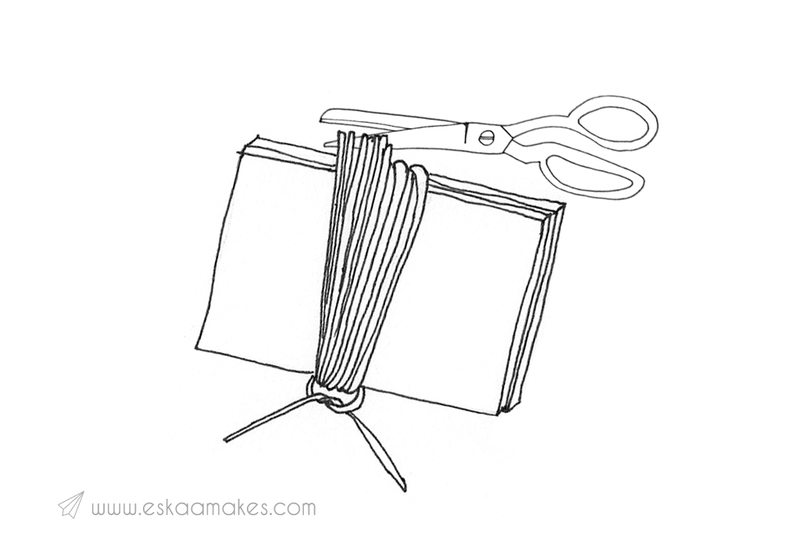 3 – When you got your desired tassel thickness, tie the single piece of yarn tight together, make a knot. Take the scissors and cut the tassel open on the other side. 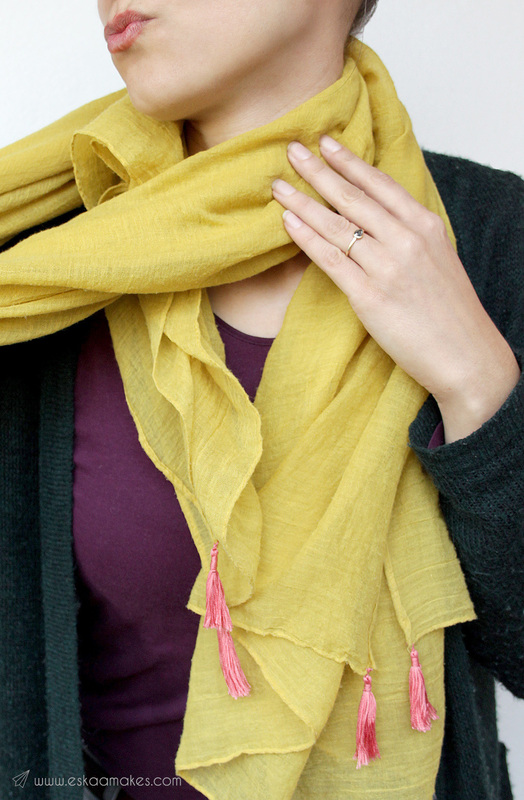 4 – Cut a piece of yarn three times the length of your tassel. 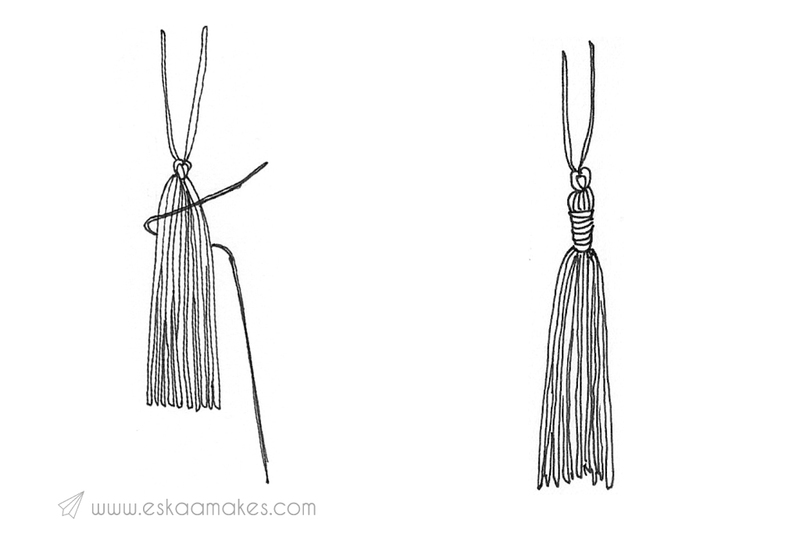 Wrap it tightly around the top of the tassel, make a knot and cut it to the length of the tassel. 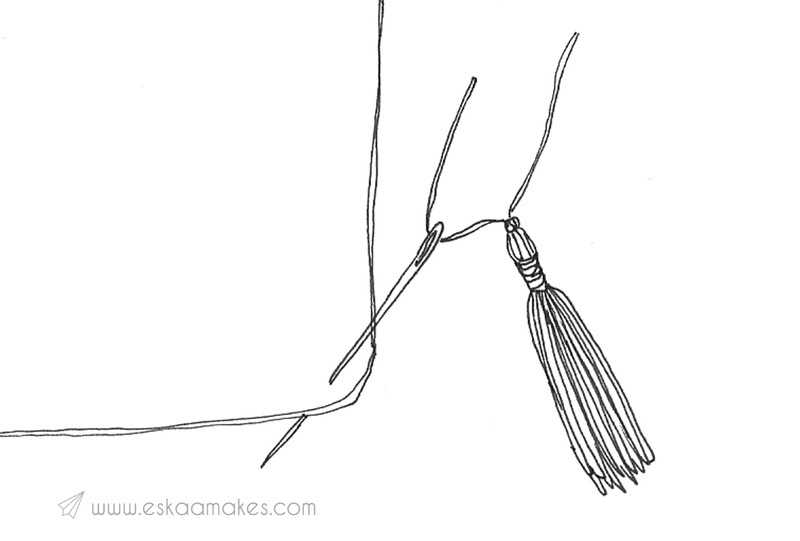 5 – Make at least four tassels. If you want more than one tassel in each corner then make a lot more tassels, of course. 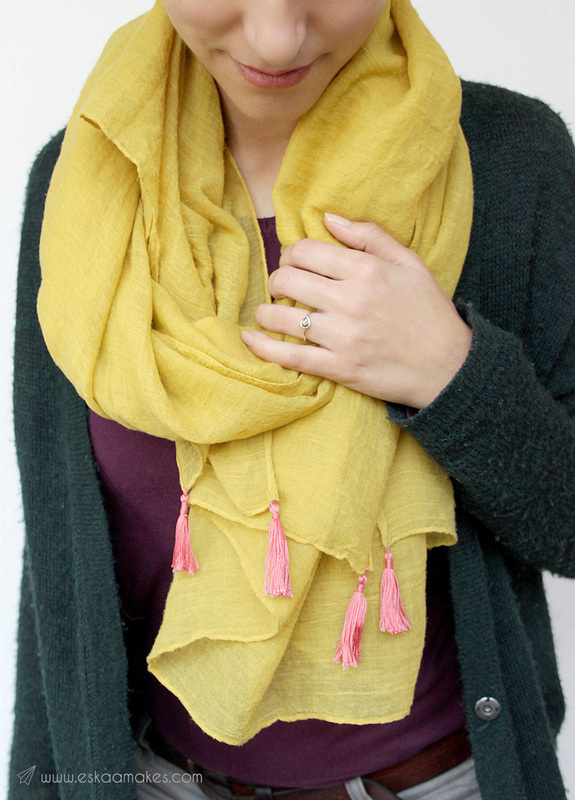 Sew a tassel on each corner or all around the scarf. 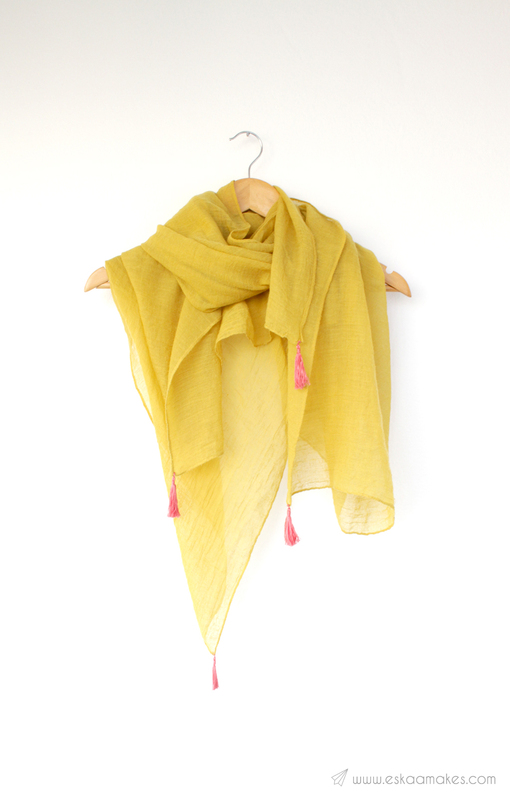 Do you have a scarf in your wardrobe that needs a facelift like this? What colour combination are you going for?